What is a seller on the financial markets? Sellers on the financial markets, are intermediaries between traders and their clients. Sellers work together with market maker traders and are responsible for client relationships. Sellers on financial markets are the ones who really know the clients, their needs, their resources, etc. Specifically, when clients call to purchase or sell financial assets, sellers are responsible for the entire trading relationship with them, they request confirmation of the sale or purchase price from the market maker before confirming the transaction with the client. Sellers may possibly add a small margin to the price that their market makers give them. Sellers are paid by means of their client portfolio and their margins. Sellers also have a part to play in informing and evaluating, as they keep their clients informed of new products and investment strategies that can meet the clients’ needs. Even if a financial product seller works in the same organisation as his market maker, he won’t be in the same place. A currency seller in France may be located in Paris, selling for the French market, but be part of an English bank and transmit operations to his market maker in London. 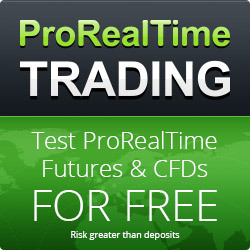 Just like traders, sellers specialise by product type (Forex, Shares, Options, etc.) and by type of client (private, hedge-funds, private banks, etc.). Leading business schools or lesser schools with a finance option. The part of this position with a commercial nature, requires significant experience, it is therefore essential to finish your curriculum and internship in the market finance sector. A seller’s salary is on average a little lower than a trader’s but remains very good if you have good results. The average annual salary of a junior seller is €30,000 plus bonuses. The average annual salary of a senior seller is between €70,000 and €300,000, depending on the type of organisation (hedge funds offer the best compensation). No comment for The seller on financial markets profession Be first !